2.) Upload contents of "Upload" into your forums folder. 4.) Select "Olive RTL ACP" & then press: "Save Personal Notes & Preferences"
5.) Now have fun with your new forum ACP Style! 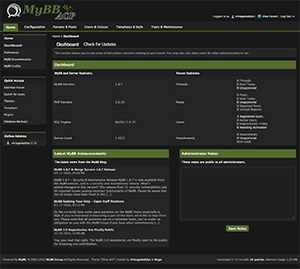 You may not remove or change the MyBB copyright nor the Designed by: "Vintagedaddyo & Wage" statements in the footer of this ACP Style's templates. You may use and modify this ACP Style to your personal likings, but redistributing a modified version for download is prohibited, unless you have explicit written permission from "Vintagedaddyo & Wage", though you are allowed to redistribute a copy that has not been modified.